http://www.ljwilliamson.com/wp-content/uploads/2015/01/LJW_-_Brando-da9863c2.mp3 July 1 of this year marks the 10th anniversary of actor Marlon Brando?s death. While most people know Brando as a leading man, not everyone knows of his wide and varied exploits beyond the screen. Here are four things you might not have known about Marlon Brando, as provided by Austin Wilkin, archivist for the Marlon Brando estate. Shortly after he had Sacheen Littlefeather refuse his Oscar at the 1973 Academy Awards, Brando joined a group of Native Americans in a standoff at Wounded Knee on the Pine Ridge Reservation in South Dakota, where he was shot at by FBI agents. When asked what it was like inside the stand-off, Brando replied, "At first it was like Disneyland, but then later when we were on the roof, and the bullets started to fly all around us, there was a sudden change of reality.? 2. He loved practical jokes ? and bagels. 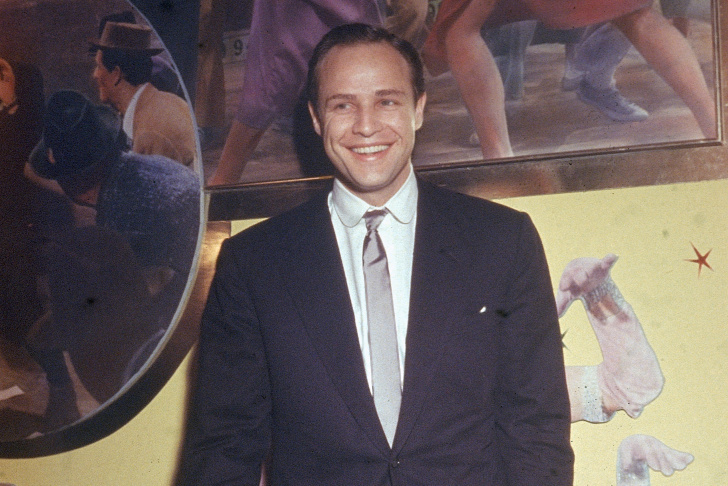 Brando owned a fake bagel with a plastic cockroach that he would offer to guests at his home. He also had a remote-controlled ?fart machine? that he would hide in chair cushions ? it made rude sounds at the touch of a button. Also, when he was cast as Superman's father in Richard Donner's 1978 version of the film, he insisted he should only voice his character, and that Superman's father appear on screen as a floating green bagel. As a high schooler, Brando was kicked out of Shattuck Military Academy in Minnesota for, among other offenses, stealing the bell that tolled at the beginning and end of classes and burying it in the nearby woods. ?In theory, that bell is still buried in the woods outside the academy,? Wilkin said. To protest the U.S. government's withdrawal of fishing rights for Native Americans in Tacoma, Wash., Brando participated in a ?fish-in." ?Brando knew where he went, cameras would follow," Wilkin said. "So he went to fish in these waters illegally to say how ludicrous this law was.? As a result, the actor was arrested. Want to see more of Marlon? The New Beverly Cinema will screen two Brando films in July: "Mutiny on the Bounty" on July 15 and 16, and "The Young Lions" on July 17 and 18. Both films will be presented by Brando biographer Susan Mizruchi.